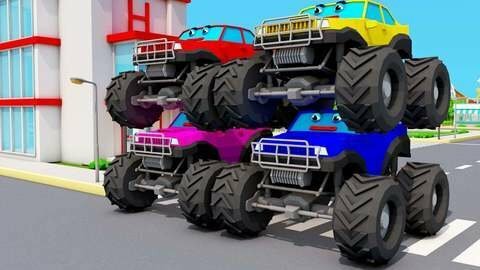 Watch as cars and trucks change color instantly in this free online video for kids! Fire Truck wants to change color and see his transformation in this fun 3D car cartoon! He is sprayed red, and others like grey racing car are also sprayed a different color! Find out what colors online for free at SeeZisKids.com!